Wisconsin & Southern's L243 train rolls south through Cedarburg with three empties. 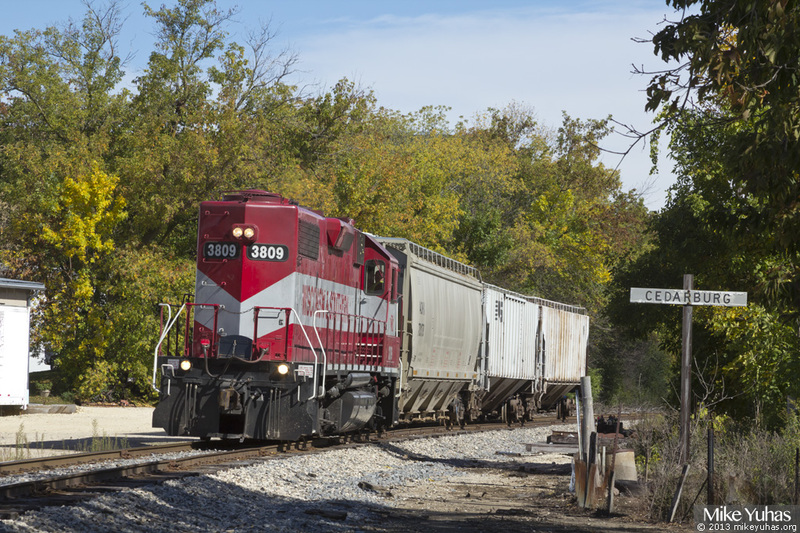 WSOR operates under trackage rights over Canadian National's Saukville Subdivision between Mill (north of North Milwaukee) and Saukville. L243 operates as needed, unpredicatbly. This train originated in Plymouth earlier today.